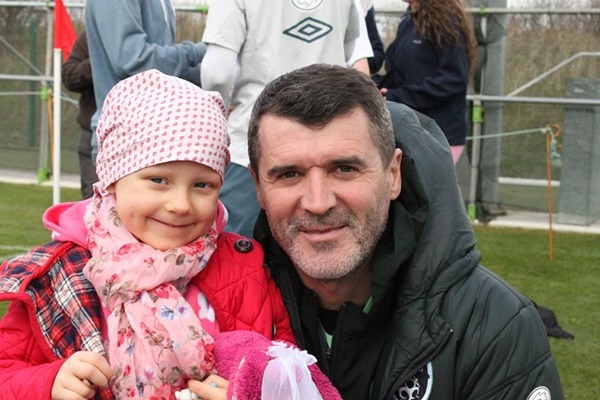 Merryn Lacy is a very brave young girl. 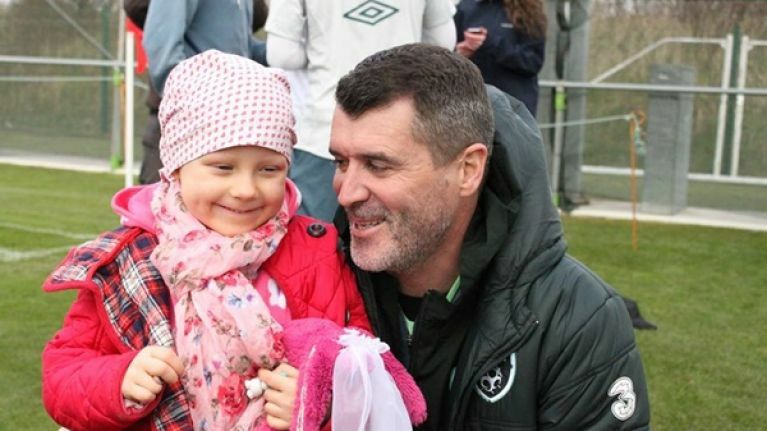 The four-year-old from Dublin has stage four Neuroblastoma cancer and she is currently undergoing treatment for her illness in Crumlin. 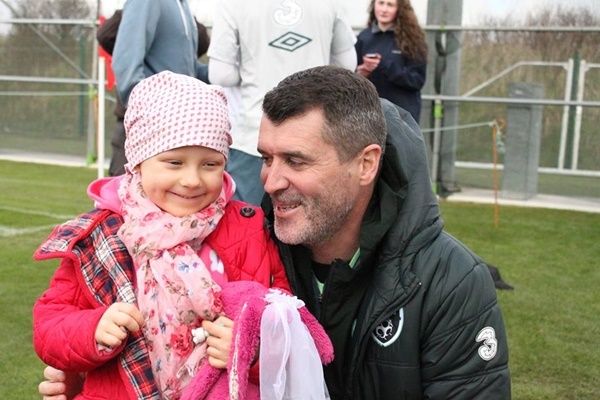 Today she was out in Malahide to meet the Irish soccer squad as they prepared to play Serbia tomorrow night and one person in particular too a real shine to her. 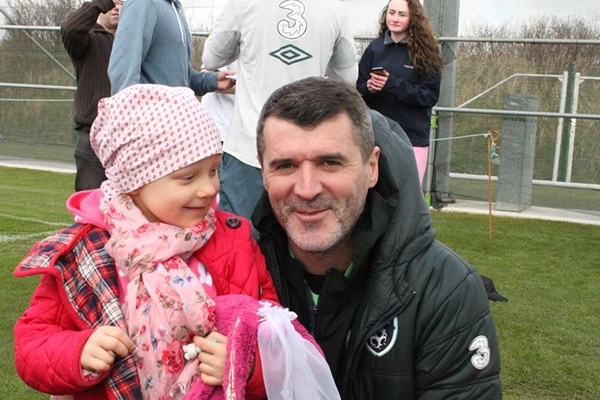 Irish assistant coach Roy Keane posed for some picture with Merryn and the soft side of Keane shines through in the images.